U.S. Taps New Energy Sources, And Potential Geopolitical Clout : Parallels Thanks in large part to hydraulic fracturing, the U.S. finds itself awash in domestic energy — and moving rapidly toward self-sufficiency and a position of strategic and economic strength. Gas and oil extraction using hydraulic fracturing, or fracking, is at the heart of the recent U.S. oil and gas boom. 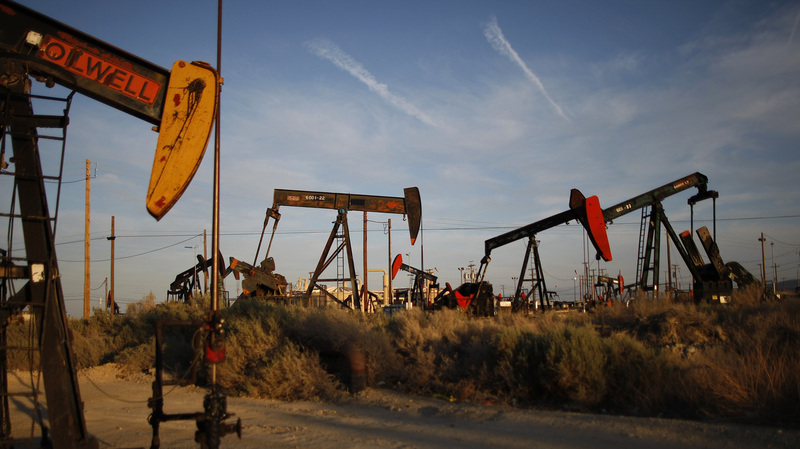 Here, an oil field on the Monterey Shale formation in McKittrick, Calif. He says the U.S. would be reacting very differently to what's happening now if it was still a big natural gas importer. There's concern Moscow could cut natural gas supplies to the Ukraine, which, in turn, would disrupt the flow to much of Europe. Even five years ago, Levi says, Washington would have been alarmed that European nations could turn to U.S. suppliers, driving up the cost. "We would be asking ourselves with every policy option we face: Will this disrupt markets and come back to hurt the U.S. economy? We're not asking ourselves that question, because we're not dependent on imports," he says. "That's a surprise — and a good one." A few years ago, the U.S. was expecting to be dependent on natural gas imports from countries such as Qatar. Now, it's relying more and more on domestic supplies. Here, an aerial view of a gas and oil refinery in Bismarck, N.D. The shift from dependency toward self-sufficiency came extraordinarily fast, says Jason Bordoff, director of Columbia University's Center on Global Energy Policy and a former senior energy adviser to President Obama. A few years ago, the U.S. was expecting to be dependent on natural gas imports from countries such as Qatar. In early 2010, Bordoff says, the administration began to grasp the implications of the oil and gas boom as a result of fracking, the controversial method of pumping water and chemicals deep into shale deposits to release oil and natural gas. "This is a really historic opportunity for the country to dramatically reduce our dependence on energy imports and increase economic activity," Bordoff says, though he adds that the U.S. is still learning and understanding what impact it has on foreign policy and diplomacy. "But I do think the U.S. is engaging diplomatically from a position of greater strength now." 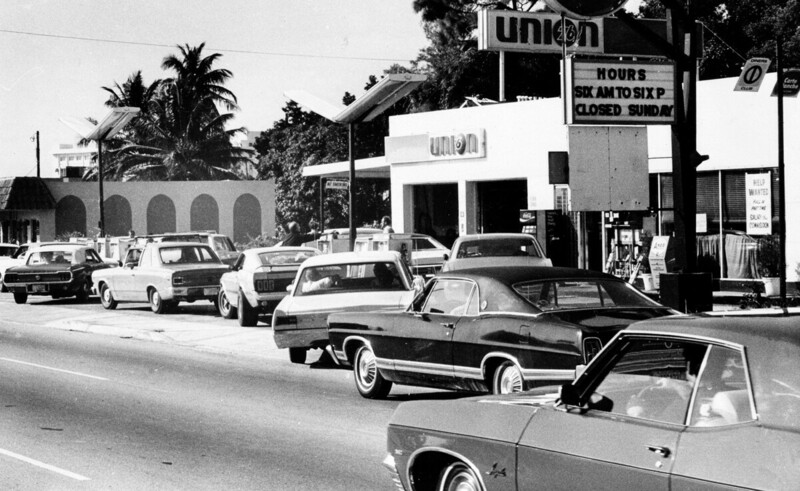 Motorists form a long line at a gas station in Miami, a scene that played out all over the country during the 1973 gas crisis. This is a far cry from 40 years ago when Arab oil producers, angry over Washington's military support for Israel during its 1973 war with Egypt and Syria, cut off oil exports to the U.S. Gas prices skyrocketed, there were long lines at American filling stations, and the country's economy took a downturn. These days, the global oil market is more integrated, and the problem is volatility of prices rather than supply. The U.S. is still one of the largest importers of oil in the world — and thus still vulnerable to global disruptions. That's not the case with natural gas, the price of which is set regionally. Natural gas costs half as much in the U.S. as it does in Europe, and a quarter of the cost in Asia. 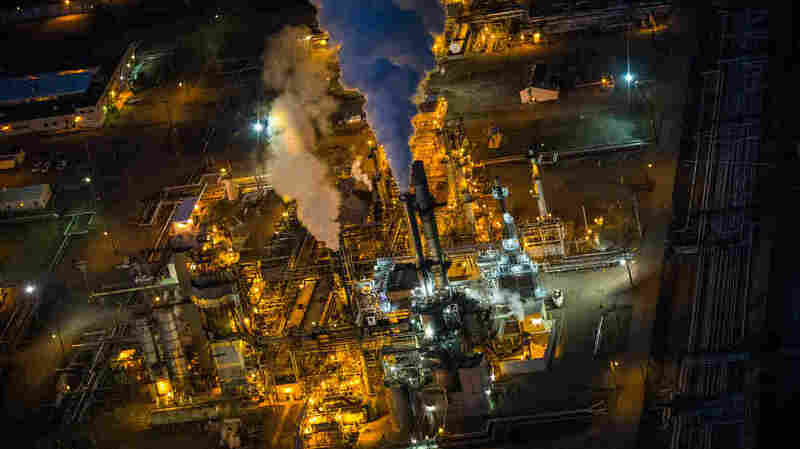 Bruce Jones, director of the Brookings Institution's Project on International Order and Strategy, says these prices will give the U.S. a competitive edge when the first exports of American liquefied natural gas, or LNG, are released in a couple of years, particularly in energy-starved emerging markets. "The important thing to understand is the huge boom in American supply ... is matched by an equal revolution in demand from Asia," he says. "China has a huge appetite for energy now, and that's a source of real vulnerability for China," Jones says. "India will start to import more and more energy as well." It's not clear whether China will want to import natural gas from the U.S. Almost half of China's energy comes from fragile states such as Angola and Sudan. As a result, Jones says, the U.S. could be seen as a stable energy supplier. But he says Washington will have to figure out if it's only going to export natural gas to its allies. "Are we going to try to use our energy supply as a source of pressure, as a kind of political weapon the way the Russians have tried to do? Or are we going to use it a source of strategic reassurance and stability in these evolving relationships?" he says. Bordoff, the former Obama energy adviser, says the glut of natural gas gives the U.S. more geopolitical strength in a world hungry for energy even before the first shipment of LNG has been released. "Foreign countries, when they visit Washington now and meet with officials, they're talking about energy, trade and access to U.S. natural gas and potentially increasingly in oil as well," he says. It's also an item that's high on the agenda for Asian countries and Europeans in trade negotiations now. Bordoff says foreign officials also want access to the American companies whose technology and innovation led to the shale gas and oil boom in the U.S.